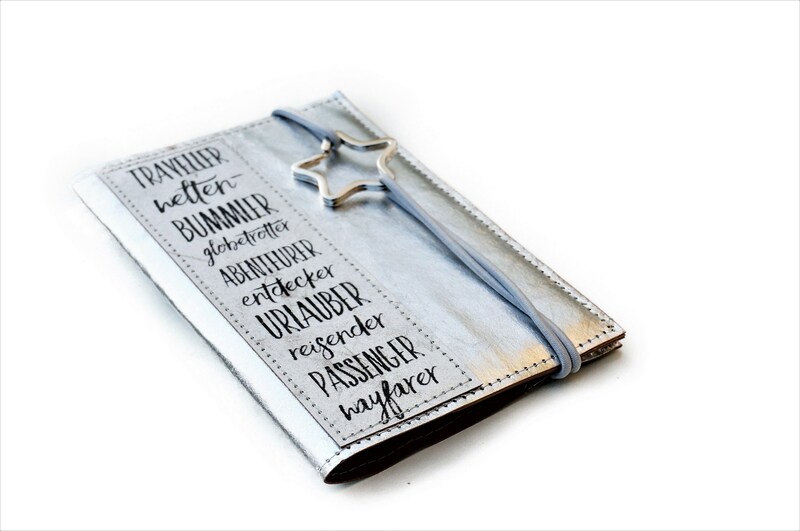 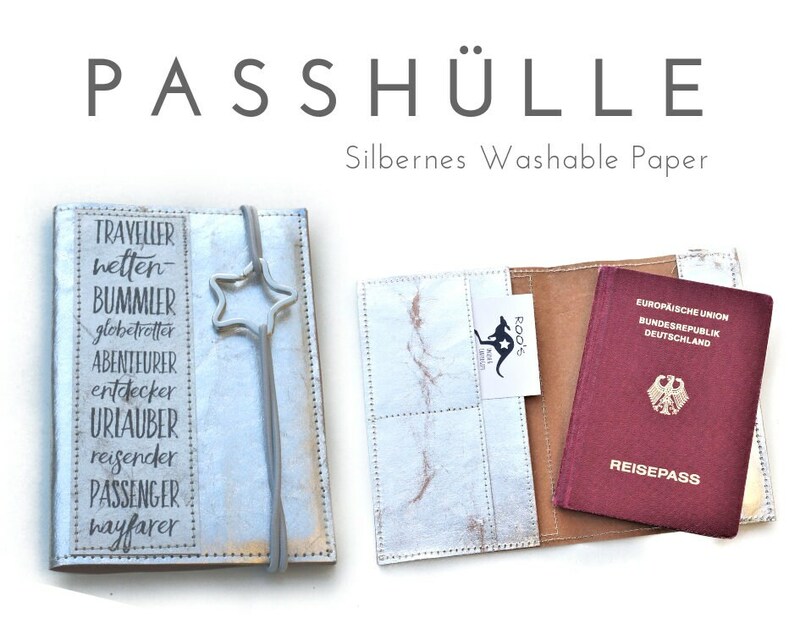 Silver Passport case for the passport from washable paper. 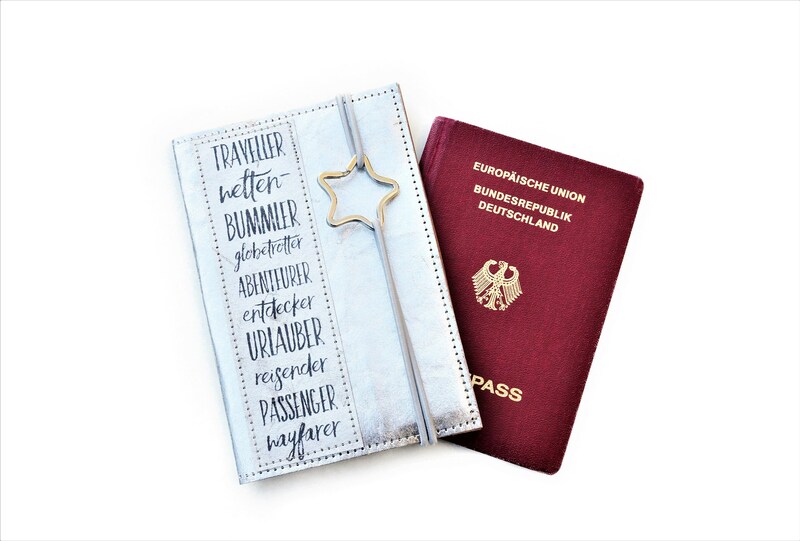 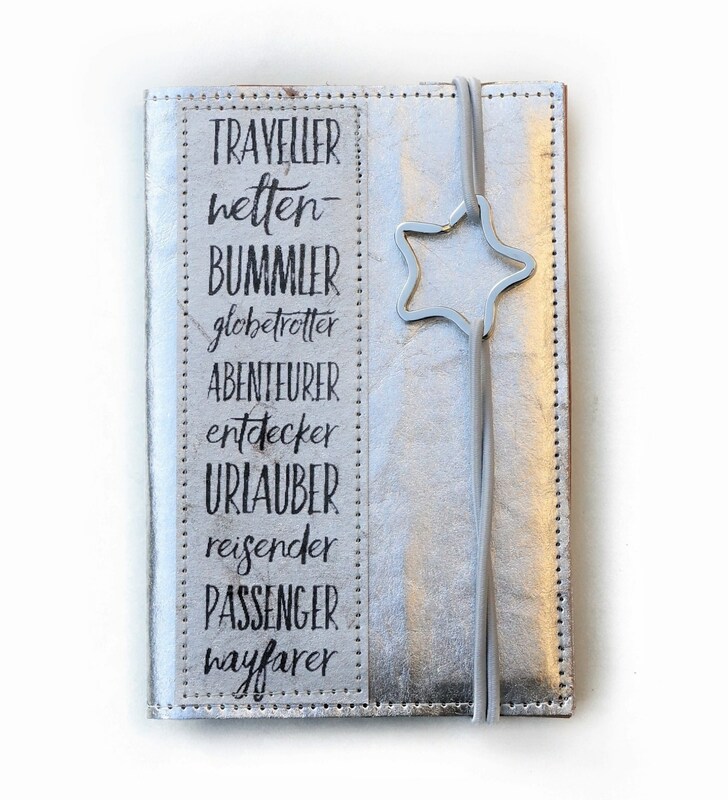 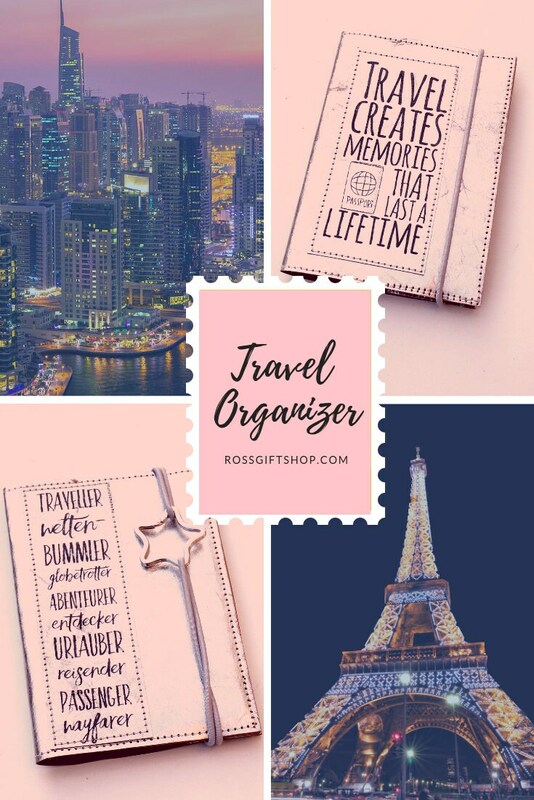 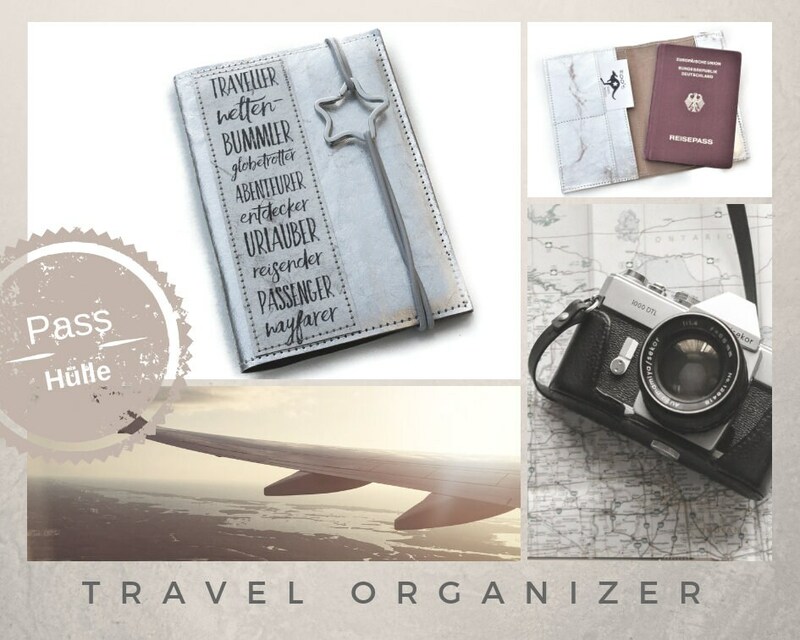 The special feature: On the front there is an imprint, which lists all the names for travel enthusiasts: "Traveller, Globetrotter..."
The small wallet is sealed with a narrow grey rubber cord, which can be easily pushed to the side for opening. 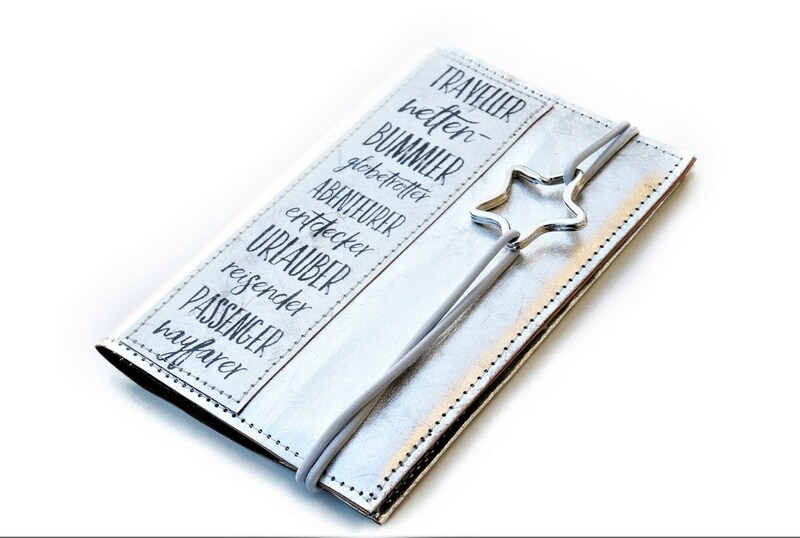 The eye-catcher here is the key ring in star shape that connects the rubber cords together. 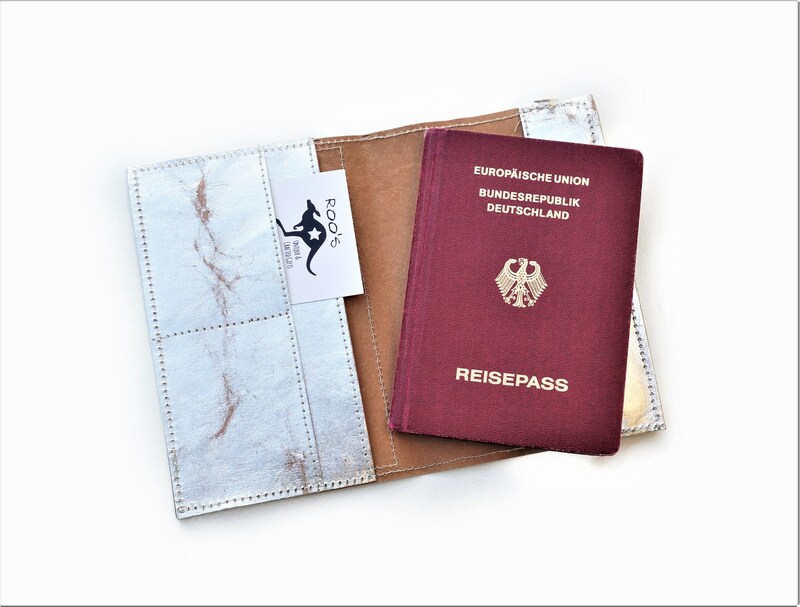 The envelope in 10 cm x 15 cm can accommodate a passport, identity card and driver's license, as well as a few business cards. 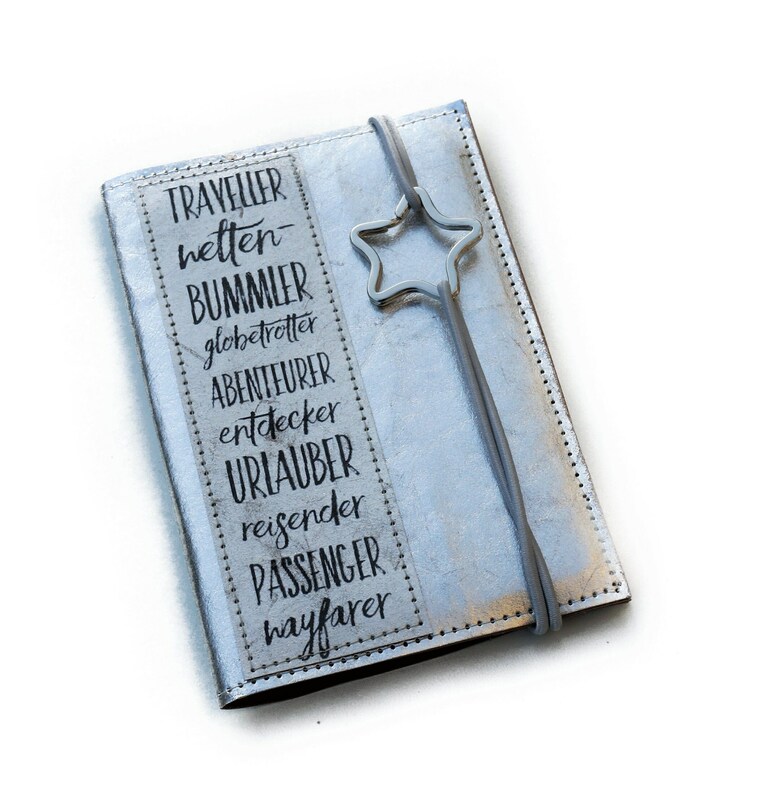 A great gift for Globetrotters!